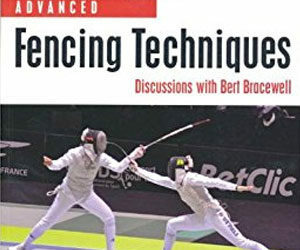 Those that have been practicing this sport for a long time can tell you plenty of beautiful things about it, but for someone who’s new to fencing, it can be quite overwhelming. 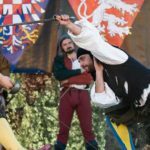 It’s more difficult than taking cooking lessons or learning a new language, and even the process of choosing the right sword can be confusing. However, it’s a great sport that brings you plenty of benefits, some of them better than those that come from practicing another kind of sport. Let’s see what this is all about. Don’t imagine that you will lose weight overnight, but it’s a brilliant workout. During an hour of fencing, you do a lot of moving about – the forward and backward lunging, the squatting-type pose that you take between points and everything else will definitely tone all your muscles, especially the backside and the thighs. The area for fencing is 14 m long, so you’ll move around quite a lot. During the hour of fencing, you’ll burn about 400 calories while trying to outscore the opponent. It can seem difficult, but for a beginner, it’s an intense workout. Fencing is not a sport based on force, but on being able to think strategically and planning your next move. This being said, while you fence, you’ll also train your brain to think faster and better, anticipating the moves of your opponent and trying to outscore him. Do you know what are the body parts that this sport uses most? The answer is simple – the feet, which is directed by the brain. 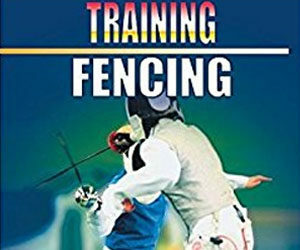 While you do learn to fence, you’ll see that all your movements will improve, not to mention that you’ll also be able to get a new dance faster, as the footwork is the key of this sport. Whoever thought that a sport could teach you polite manners? Similar to the martial arts, fencing is all about learning respect and following an ancient code of honor. A basic rule in this sport is to show courtesy to any of your opponents, no matter who you fight with. This should be done simultaneously while trying to stab them. 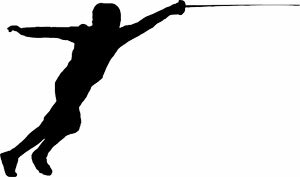 It’s something that can seem completely impossible, but if you follow the movements of two fencers, you will see that it can be done. Some say that the secret of this sport cannot be easily learned, but it won’t keep you from having some fun while also toning your body. It’s good exercising for both body and spirit, and while you keep yourself healthy, your brain activity will also get the benefits of the movement. It’s something you should at least consider when thinking about choosing a sport.